Captain Everett C. Babcock has over 29 years of law enforcement experience with over 21 years assigned to investigations. He has served in the Kansas City Missouri Police Department's Homicide Unit as both a detective and a sergeant. Captain Babcock is currently assigned as a Commander in the Center Patrol Division of the Kansas City Missouri Police Department. Prior to his promotion to Captain, Sergeant Babcock was assigned to the Homicide Unit's Assault Squad, and as a supervisor in charge of officer involved shooting investigations. Captain Babcock is a licensed generalist instructor in the State of Missouri and is a certified basic and defensive tactics instructor through the Council on Law Enforcement Education and Training (C.L.E.E.T.) 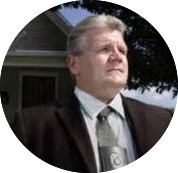 He is a member of the International Law Enforcement Educators and Trainers Association (I.L.E.E.T.A) and the International Homicide Investigator's Association (I.H.I.A.). Captain Babcock also serves as a board member for the Kansas City Chapter of Parents of Murdered Children. His investigations have been profiled on "The First 48," "America's Most Wanted," "Fatal Attraction," and "American Gangster."